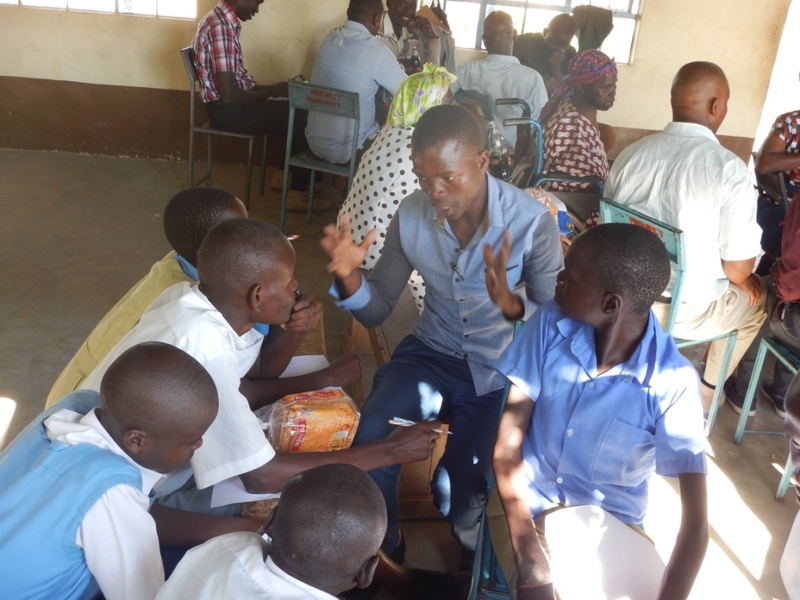 Grassroots Approach to Inclusive Education in Kenya | Global Disability RightsNow! Inclusive education practices are growing in Kenya, but many barriers continue to exist for developing an inclusive education system. The barriers are being addressed by bringing the community together to identify the best ways to minimize their impact on inclusive education. This grassroots approach to inclusive education on a national scale is necessary for students with disabilities to gain sustainable access to a quality inclusive education system in Kenya. Each inclusion committee had between 20-25 members at any given meeting. The availability of Fulbright grant funding allowed for the committees to meet on a weekly basis. Inclusion goals pertained specifically to increasing the number of children with disabilities accessing inclusive primary education. The three sustainability goals targeted how to sustain ongoing conversations on inclusive education and disability rights when grants funds ran out. Each inclusion committee developed an income-generating activity (IGA) to raise funds to sustain the project in the absence of grant funds. Both inclusion committees decided to rear local breeds of chicken to sell in order to raise money for committee administration costs, to pay for committee member allowances for transport, and to supply refreshments for each committee meeting. To maintain momentum toward the development of a country-wide inclusive educational system, inclusion committees created three inclusion goals and three sustainability goals. Inclusion goals at each school site focused on teacher training, sensitization of the community on issues related to inclusive education and disability rights, and increasing the time spent together by students with and without disabilities from special and primary schools. Sustainability goals at each school site focused on member donations of materials and poultry to grow the IGA and for developing an internal management system to effectively maintain the project. By sharing the inclusive successes and challenges with national stakeholders, schools with emerging inclusive practices were connected and the inclusive network expanded. This network is maintained through regular email correspondence. "To further facilitate the development of an inclusive education system, a realistic inclusive education plan needs to be set up by each province, with input from people with disabilities along with local governments, teachers, parents, students, and community members. However, this will not happen on a large scale in Kenya if realistic goals are not set within each district, and shared with an inclusive network of schools throughout the country." - Brent C. Elder, Ph.D.
Dr. Elder's research focuses on the development of sustainable inclusive education practices in under-resourced schools. Specifically, in his work he utilizes a critical disability studies lens to examine the intersections of disability, poverty, and education. During the 2015-16 academic year, he conducted his doctoral research in Kenya as a Fulbright scholar. Dr. Elder has published in the International Journal of Inclusive Education, Disability and the Global South, Disability Studies Quarterly, Societies without Borders, and the Journal of International Special Needs Education.